Attention, new recruits! Fairytale City is in trouble because of a wolf named Big Bad, who wants to get his hands on a magic porridge that will make him invincible! Billings, a master of disguise who runs the Special Agent Unit, needs your help! Meanwhile, Mama Bear, the Porridge Maker, and Papa Bear, the Porridge Keeper, are having a hard time getting Baby Bear, a bratty toddler, to eat the porridge and become the Porridge Heir, which would keep Fairytale City safe. 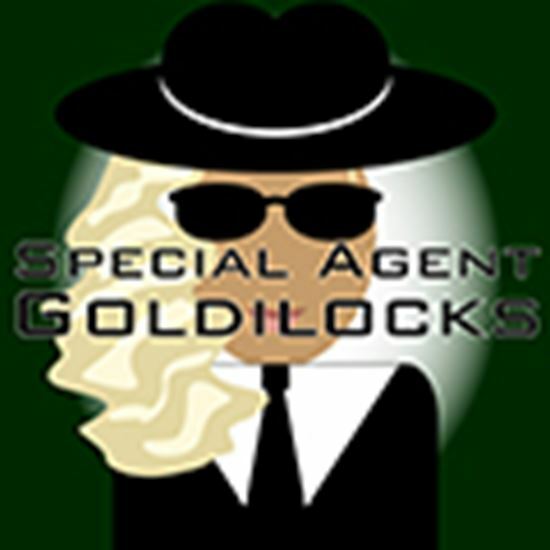 While Big Bad plots to steal the porridge from the Three Bears, Billings calls in his secret weapon: Special Agent Goldilocks, a tough, stealthy spy who is ready to dump the paperwork and find some excitement out in the field. However, when Goldilocks eats some porridge that doesn't belong to her, everything spins out of control! Featuring wild costumes, mistaken identity, sight gags galore, snappy dialogue, and songs sung in the tune of classics, Special Agent Goldilocks is a re-imagined twist on popular fairy tales that is easy to produce and a blast to perform. Your mission is a fun time for the whole family! About an hour. I have had the good fortune to be a part of Lakewood Theater, a historic summer theater in Madison, ME, since I was a teenager. Every fall, they do a production with their “Jester” group, which is a production geared towards students grade K-5. They are bused to the theater to watch a show and get to meet the cast after. I asked if I could write a play for the program, and they said yes. Now, it is becoming an annual tradition! I think my favorite part of the play is when Big Bad is dressed up as an old lady, and then Billings arrives dressed in the exact same old lady costume. I love fun, silly sight gags like this, and the mistaken identity. I also like it when Baby Bear is burped. Like most kids, I loved fairy tales growing up. Now that I'm a grown up, I love playing with some of these classic, iconic characters, and giving them some modern sensibilities. I wanted to somehow toughen Goldilocks up, but also keep her as a recognizable Goldilocks. That's why I made her a secret agent. So while these characters aren't based on anyone I know personally, they are based on TYPES that I think we all know either from books or movies. I wanted something that would entertain young people, but also be entertaining for their older brothers and sisters, as well as their mothers and fathers. I find that wacky humor can be fun for the whole family. Also, another goal, just like the Lakewood Theater Jesters' goal, is to expose young people to theater and make it a fun experience that they want more and more of! 5. Do you have anything else you'd like to add? I am truly grateful to Eldridge for helping me bring this play to a wider audience, and I'm grateful to every theater teacher and drama coach who work so hard to make theater accessible and viable to young people.